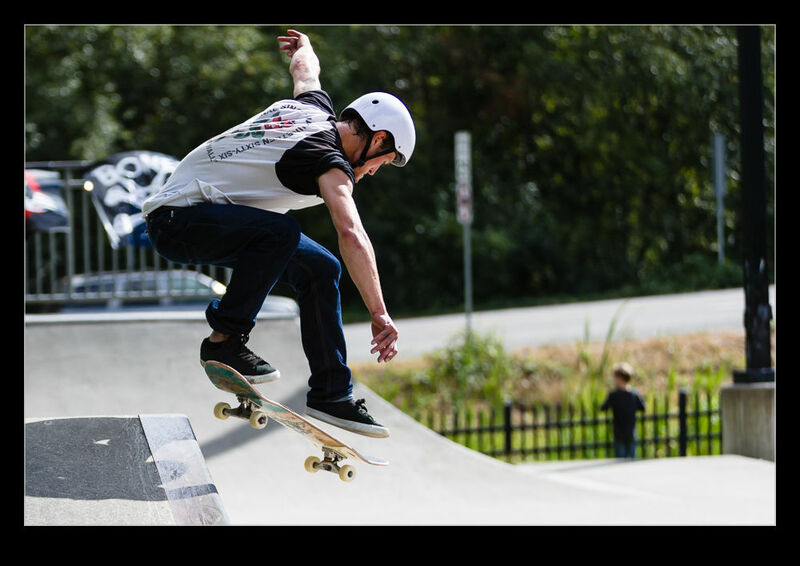 Not far from where we live in Woodinville, there is a skate park. It is always popular with people hanging out be there skaters, scooter users, BMX riders or just people enjoying the park. I have been meaning to walk down and watch some of the skaters but have not got around to it before. However, last weekend, as we drove home, there was clearly something going on at the park so I decided to walk down and see what was going on. 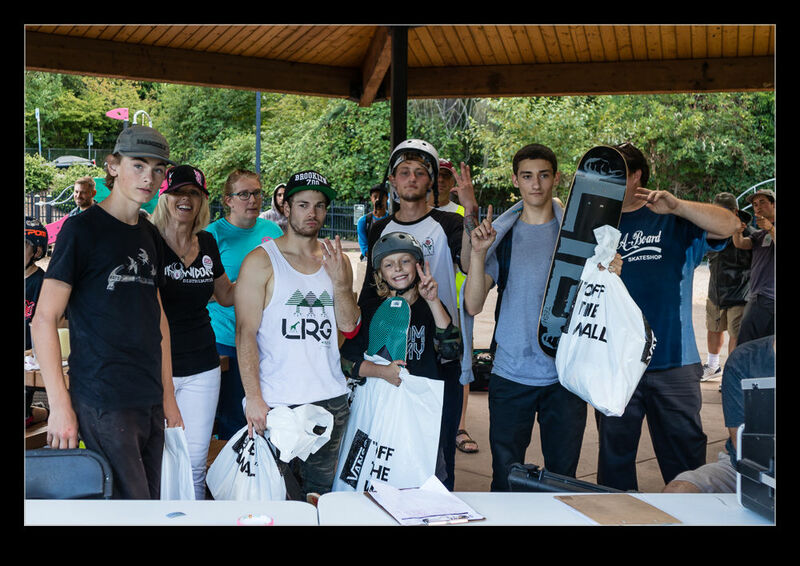 I got there just in time for the beginning of the 15th annual Woodinville skate competition. Loads of skaters had turned up to compete and they were warming up when I got there. Indeed, the competition started shortly after I arrived. They had a bunch of age categories. The first to go was the 10 and unders. They grouped skaters into pairs or threes and they had two runs of two minutes each in which to put together their based performance making use of as much of the park as possible and varying the tricks. We had a brief downpour so, once the group had finished, they had a prize giving for the winners while we waited for the weather to improve. This wasn’t the only weather interruption but, on the whole, conditions held out and the team did a good job of drying the park out when the rain stopped so that the competition could carry on. Next came the 11-15 category. The same format of competition with two runs each and there were a lot of competitors to get through. The skill levels varied a bit but the nice thing about skating is that everyone is very friendly and supportive so they were all willing to not only do what they knew they could land but also to push themselves to try and get better tricks in. There was a single group for the female contestants that came next. Again, a mix of skills on show but again an enthusiastic approach to the competition and, with the conditions looking better, the weather was heating up as much as the competition. Last to go where the 16 and over group. Here you had adults in against the older kids (and one kid who was clearly not sixteen but was skating at a very high level. The advantage that size brings in carrying speed and in athleticism showed itself with the competitors really making some impressive runs. The finale was the best trick competition. First the rail was used and everyone took it in turns to have a go at pulling of something cool on the rail without causing themselves unfortunate damage (although a couple came close to straddling the metalwork!) Then it was over the car for the second phase. By now the weather was beginning to turn so it was a race against time to get everything in. When all was done it was time for prize giving. 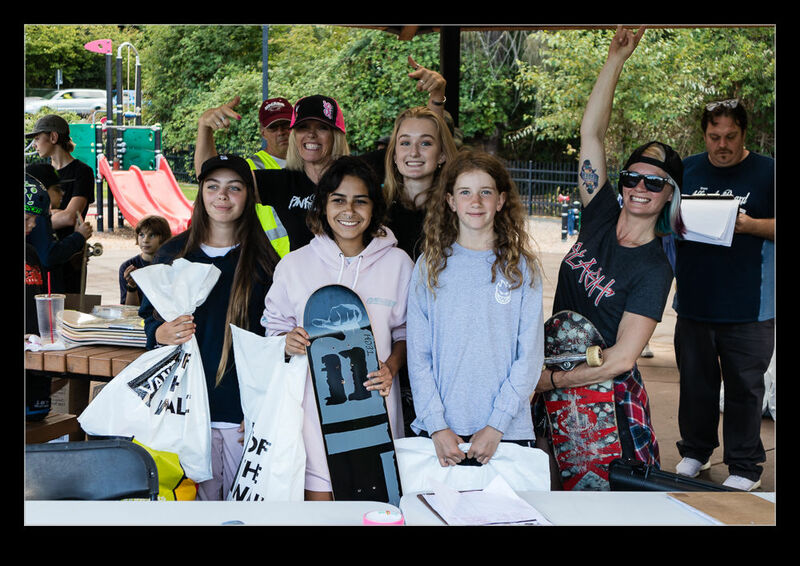 Scoring for the runs was for the main prizes along with side prizes for best tricks during the runs and then the best trick competition itself. It looked like a great time for everyone and I thoroughly enjoyed watching and shooting the event. For those that were there, I have a larger gallery of shots taken throughout the day which can be found at the link below. At the bottom of the page are pictures of the winners after receiving their prizes. 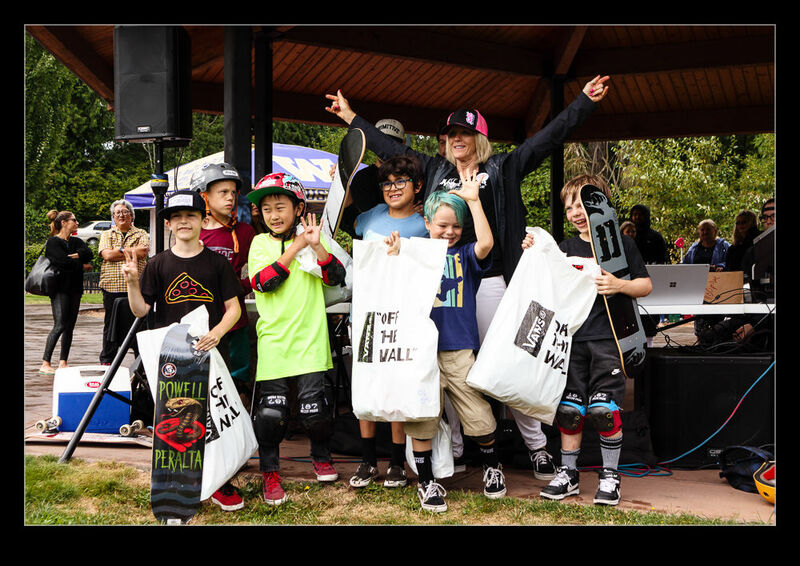 This entry was posted in Pacific Northwest, photo, sport, Uncategorized and tagged 2018, competition, rotary, skate, skateboard, sport, washington, woodinville. Bookmark the permalink. Thank you so much for your blog post and amazing pictures of the event. Love to have the community involved and we would love to have you back for next years Challenge! The local skateboarding community is something very special. It’s a joy to serve them and their families with this event. Always a great time. Thanks Pam. It was a great event and I shall definitely be back.